Strong interest in the upcoming Drum Corps International "Classic Countdown" cinema event on Thursday, April 27, has resulted in the addition of nine theaters to a nationwide roster now totaling 155 locations. Key West, Fla. (Regal Cinema Key West 6) "During the three years that we've offered cinematic events through National CineMedia's Big Screen Concerts, we've been very pleased with the strong demand by fans of Drum Corps International which has enabled us to add theaters accordingly. These special theatrical offerings are outstanding opportunities for us to showcase the excitement of drum corps, and we're very grateful for the continued loyalty of our supporters," said DCI's Ed Dempsey who manages the Classic Countdown event. 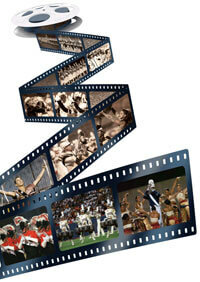 In addition to the 2006 DCI Classic Countdown, Drum Corps International will once again feature the live cinecast of the 2006 World Championship Quarterfinals from Madison, Wis. in theaters as part of the Big Screen Concerts series on Aug. 10.